Du bist hier: Startseite / Essen und Trinken / CORICHEDDUS – SWEETS OR JEWELS? CORICHEDDUS – SWEETS OR JEWELS? If I ever received one of these beauties, I am not sure I would even dare eating them – they are beautiful! 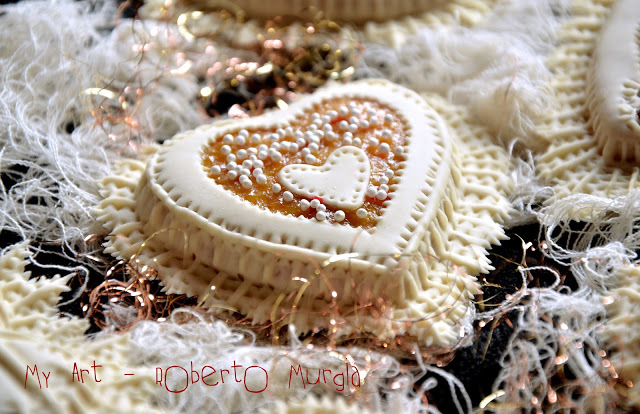 Coricheddus (small hearts) are typical Sardinian sweets commonly made of almonds, honey, orange peel and saffron! It takes a lot of time to make them as they are designed by hand, one by one, like jewels! with flowers, ears, wedding rings and lots of imagination! Other typical shapes are the bird and the pitcher. https://www.simplychillout.com/wp-content/uploads/2016/01/Coricheddus.jpgimgmax=1024.jpg 414 640 psarais https://www.simplychillout.com/wp-content/uploads/2016/06/Logo_Simply_Chillout-Small-Custom.png psarais2018-10-28 07:00:322018-10-28 09:23:29CORICHEDDUS - SWEETS OR JEWELS?